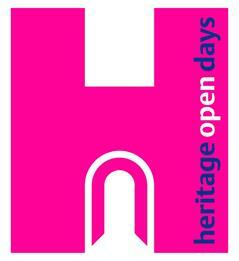 This year Heritage Open Days will run 8–11 September 2016. This follows on from the success of 2015, which saw almost 40,000 volunteers and some 3.4m visitors participate across the UK. It is England’s biggest heritage festival involving 40,000 volunteers who open up buildings of every age, size and style including places of worship and invite everyone to come in and explore. If you already open up your place of worship on Heritage Open Days or are thinking of doing do, then the 2016 Organiser Fairs in April could be a great opportunity to meet like-minded people and share ideas. A menu of practical and inspirational sessions will help you to be creative when it comes to registering, promoting, interpreting, evaluating and fundraising for your event. This year, the FREE full-day fairs will be held in London (14th April), Durham (20th April) and (28th April) Birmingham. These days will cover a range of sessions including advice on marketing, media tips, interpretation ideas.